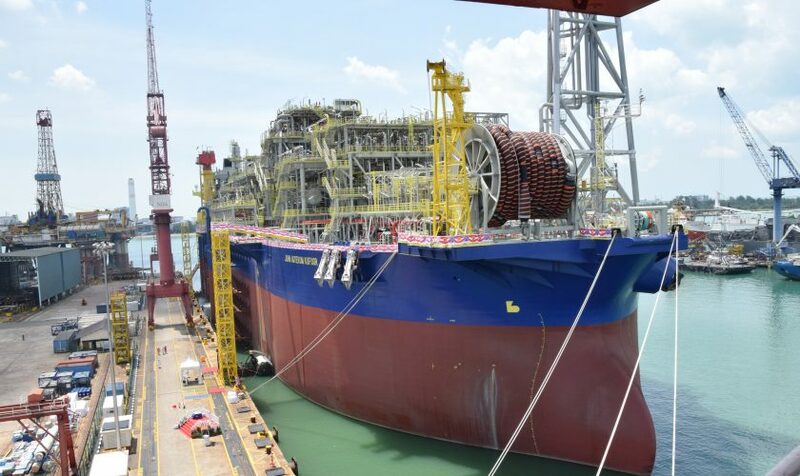 The new Floating Production Storage and Offloading (FPSO) vessel, John Agyekum Kufuor, has arrived in Ghana. It is currently being moored on top of wells at the Tano Basin Offshore Cape Three Points (OCTP). 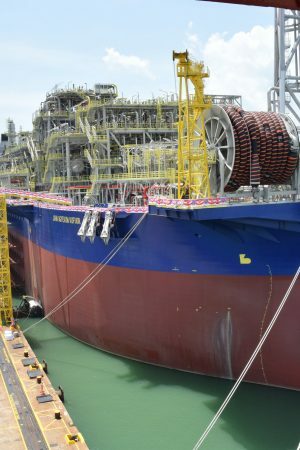 The arrival of the FPSO is the final stage in the development of Ghana’s third oilfield. Italian oil major ENI is the lead operator of the field with a 44.44% interest. Other partners are Vitol (35.56%) and the Ghana National Petroleum Corporation (GNPC, 20%). 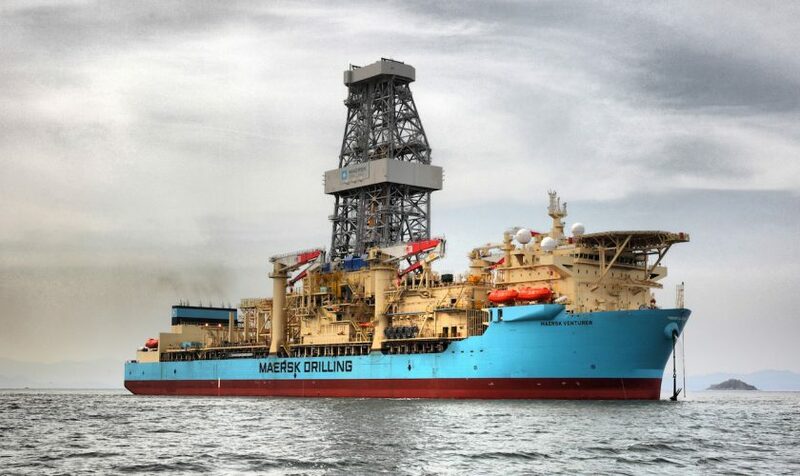 Ghana’s energy sector is expected to receive a boost from the new FPSO. It is expected to produce around one million standard cubic feet of natural gas which will mostly be used to generate much-needed electricity. Oil production will also increase, Ghana is expected to produce over 240,000 barrels per day when all three oilfields hit their production targets. At present, the Jubilee field produces about 100,000 barrels which is expected to rise to 120,000 barrels. The TEN fields where some wells are not yet active are already producing around 56,000 barrels, expected to rise to 80,000 barrels per day. The ENI-operated Sankofa Gye Nyame block in the OCTP, where first oil is expected two months ahead of schedule in June, will produce around 45,000 barrels per day at its peak. The FPSO John Agyekum Kufuor, built in Singapore by Keppel Shipyards, was named after a former Ghanaian president under whose tenure oil was discovered in commercial quantities in 2007. 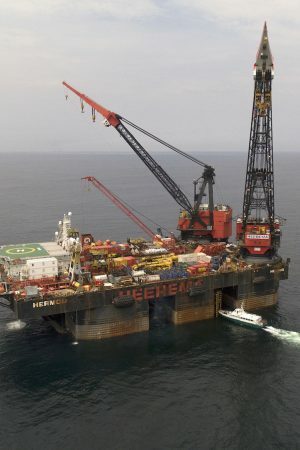 It has a storage capacity of 1.7 million barrels, a double hull to reduce environmental risks and a treatment capacity of 58,000 oil barrels per day. Prior to the arrival of the FPSO in Ghanaian waters, the government regulator for the upstream petroleum industry engaged stakeholders in the six coastal fishing communities of the Western Region. 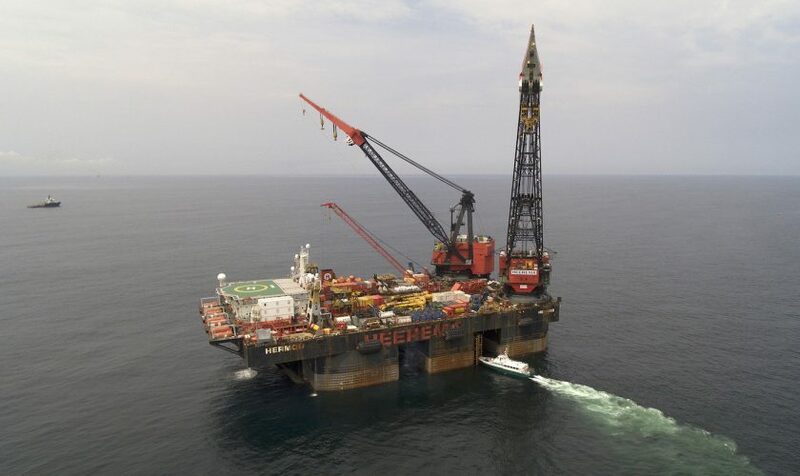 The team pledged that all necessary safety rules would be applied as the vessel was moored for the final hook-ups for first oil in June 2017. 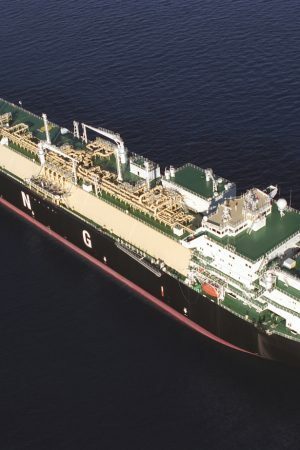 BP and the Area 4 concession partners, ENI East Africa (EEA), Galp Energia (Galp), Kogas and Empresa Nactional de Hidrocarbonetos (ENH), have entered into a sales and purchase agreement for BP to purchase 100% of the liquefied natural gas (LNG) produced by the EEA-operated Coral South floating LNG facility. 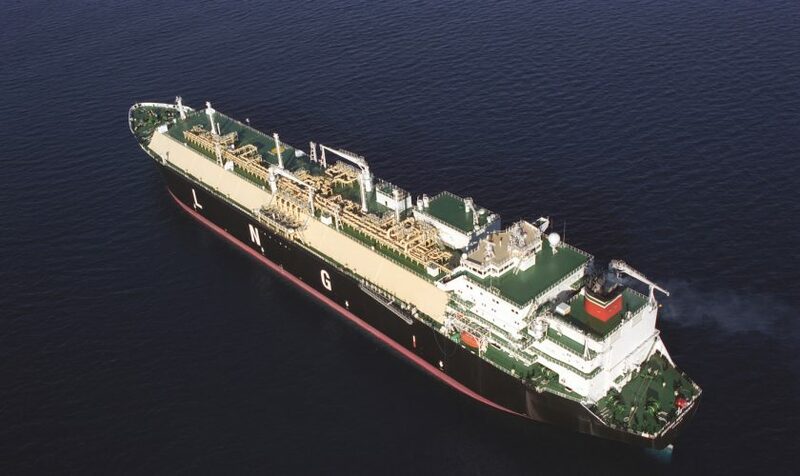 Mozambique LNG is expected to be ready for first exports by 2020. The agreement covers the purchase of Mozambique LNG for over 20 years. The agreement, which has been approved by the government of Mozambique, is conditional on the final investment decision being taken for the project, which is currently expected by the end of 2016. The Coral South Floating LNG facility is expected to have a capacity above 3.3 million tonnes per annum. BP will use LNG from the contract to help meet its global supply commitments. Commercial details of the agreement were not disclosed by the partners. However, the deal is regarded as a major boost to ENI’s plans for producing natural gas off Mozambique. In 2015, ENI’s chief executive officer said that the company aims to begin Mozambique LNG exports by 2020. ENI’s gas discoveries alone could provide 30 years worth of fuel for Italy, underlining the size of the field. First exports are also expected to provide an important boost to Mozambique’s economic development. More information about ENI’s activities related to Mozambique LNG is available on the company website. 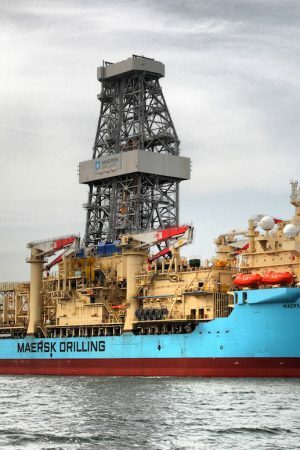 The South African Institute of International Affairs has published a study about the exploitation of natural gas discoveries offshore Mozambique and the relationship with the ‘blue economy’ development in the country.